We Are All Immigrants. We Are All Workers. The Georgia Latino Alliance for Human Rights is calling for a joint labor-immigrant rally on May 1, 2012 in the tradition of the long standing celebration of May Day as international workers day. Participants will assemble at 11:00am at the Georgia Capitol (Washington St, Atlanta, Ga.). This May Day will mark a historic coming together of immigrants and working people in the face of the austerity measures faced by the economic depression. Our communities are struggling against anti-immigrant attacks, detention and deportation; union busting and cuts to workers’ wages and benefits; cuts to public services including education, health care, and transportation; and racist violence, police brutality, and mass incarceration. 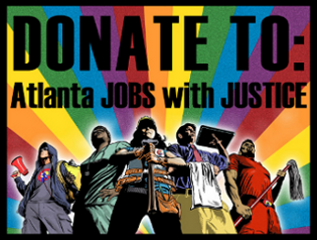 Propelled by strong community based organizations increased labor participation, and leaders have stepped up all across Atlanta to demand the state we deserve. Stop Secure Communities and 287g programs. Stop the Attacks on Workers and Unions! Jobs for All and No to E-verify. End Deportations, End Racism, and End the New Jim Crow era. WHAT: An immigrant- workers rally for May 1, 2012—May Day, the International Day of the Working Class. We Are All Immigrants. Todos Somos Inmigrantes.